NIA CHARLESTOWN NEVIS (February 05, 2019) — Hon. 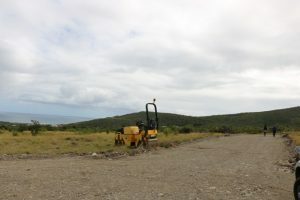 Alexis Jeffers, Deputy Premier of Nevis and Minister of Lands and Housing, says the Nevis Island Administration (NIA), through the Nevis Housing and Land Development Corporation (NHLDC), is pleased to offer a housing development programme to benefit returning graduates, who are contributing to the development of Nevis. 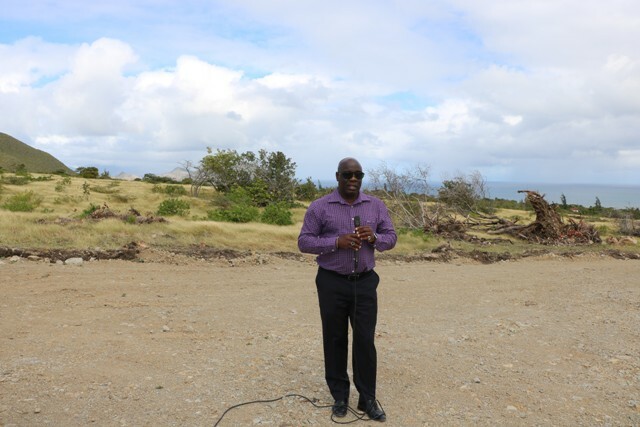 On January 29, 2019, during a tour of a plot of land at Lower Spring Hill, referred to as University Heights which is earmarked for the development, Mr. Jeffers explained that preparatory work had already commenced ahead of the project’s commencement slated for the first quarter of 2019. 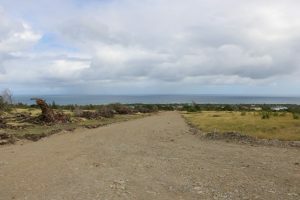 “We are hoping or anticipating that we will have our ground-breaking ceremony over the next month or thereabout and of course we are hoping that we can start construction towards the latter part of this first quarter,” he said. Mr. Jeffers, who is also Chairman of the NHLDC Board of Directors, noted that persons have already shown interest and the corporation has received at least six applications for at 15 lots that will be available under the programme. The minister also used the opportunity to outline the requisite criteria for applicants who have returned within the last five years. “First of all you have to be a citizen of the Federation of St. Kitts and Nevis. Secondly, you must be a first-time home owner. In terms of the finances that are required in terms of how you would qualify financially, we are saying we will have four different designs that are available to the prospective applicants. Two of those designs would range somewhere between EC$300,000 and $325,000 and the additional two designs would range from EC$325,000 to $350,000. “In terms of the land, the lands are subdivided into 8,000 square feet lots. They will go for just $1, that’s a concessional price $1 per sq. 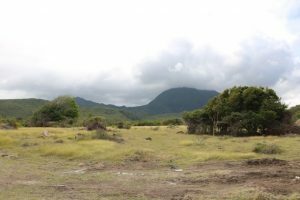 foot, and for those who might want to purchase just the land and no house that would not be one of the criteria available to you,” he said. Mr. Jeffers added that the down payment is dependent on the preferred house design, and the monthly repayments are reasonable. “If you select a design that ranges between $300,000 and $325,000, your down payment will be $12,000. For a design that runs $325,000 to $350,000 your down payment would be $15,000. “The interest rate on this mortgage would be 5 percent and the mortgage would be for a period of 25 years. The monthly payment would be $1,500 to $1,800. So we believe that is manageable,” he said. Mr. Jeffers urged graduates who are interested and readily qualify for the programme to visit the NHLDC office to fill out an application form to begin the process that could lead to their home ownership.